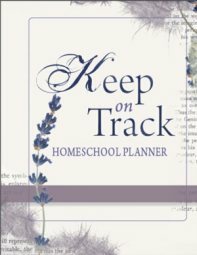 It's easy to feel overwhelmed with all the homeschool history curriculum you see across the internet. I know I felt like that when I started and really wanted someone to tell me what to use. I don't feel completely bold enough to give you just one choice - as they are all so good in different ways and for different ages. 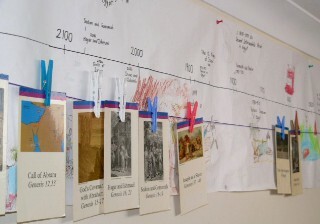 Over the years, we have enjoyed using various homeschool history curriculum. However, I have listed our family favourites below. 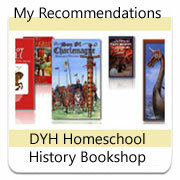 I have listed the homeschool history curriculum we have loved using. all lead you through the time period, recommending resources along the way to create a complete, chronological study of the medieval time period. For those who like to design their own History Curriculum - I have listed History Spinebooks. all can be used as a base for your study and you can read a chapter, jump off, explore, do activities and come back when ready. The first books we used was the Greenleaf Series - The Shearers opened my eyes to reading aloud to learn history. These are all comprehensive books which cover the Medieval time period. Don't forget to check out the other resource pages (in the box at the end of this page) to make your study of the Middle Ages come alive - with history project ideas etc. History may seem murky, but only because we wrongly focus on the long corridor of human actions. History is really a door to God Himself! God created mankind and his times. He is the initiator; we are the responders. So, it is first God's truths and then our responding beliefs which shape all of history: government, philosophy, art, architecture, literature, scientific thinking, economics, law, and the value placed on human life itself. TruthQuest History opens the door to it all by bringing together worldview wisdom, literature recommendations, and chronology... all in a fascinating storyline of spiritual context! Whatever your style, TruthQuest History can benefit you. It follows key Charlotte Mason and Classical resources, and assists unit-study and unschooling familes exploring an era. TruthQuest History even helps you teach your own theology and choose your own resources! Adaptable for all grades. For this time period, Volume 2 will help your children discover how God continually reveals himself in this big-picture look at world events from Pentecost to the printing press in the Volume 2 of Mystery of History. User-friendly format features lively text, quizzes and tests, reviews, projects and activities, timeline and mapping assignments, answer keys, reproducible student pages, and more. It's classical, chronological---and complete! Grades 4 to 8. Mystery of History also has a reproducible CD with all the pre-tests, post-tests, quarterly worksheets, semester tests, individual maps, and all appendices. What I really love about Veritas Press History are their great History Card Sets. Read more about Vertitas Press History Cards on my site. Now, if you decide you want to frame your own study, the best thing to do is to choose your spinebook. This can then become your thread. Read about the Famous Men of the Middle Ages and jump on and off as you please. Write a narration, draw a battle scene, colour in a map and add locations. This read-aloud series is designed for parents to share with elementary school children in grades 1-4. This book is also appropriate for grades 5-8 to read independently. There is the read aloud book, audio CD, test packet and audio CD set available. If you are often in the car - you may really enjoy the CDs as we have done, especially since it is read by Jim Weiss! Diana Waring, in her enthusiastic manner presents the history of 30AD to 1799AD in an audio format as well as the written curriculum and activity books. Students study history from a Biblical worldview while taking into consideration everything going on in the world before, during and after this time period. A great base of stories about characters not everyone mentions. Some families use this book as added individual reading while using another book as a base for family reading. We have done this also - When the children were young, I read this book out aloud, but when we circled back to this time period - my older children read it and summarized from it as part of their individual readings for the time period. Originally written in the early 19th century, H.A. Guerber's historical readers will give young children an exciting, narrative look at the human past. Writing from the conviction of biblical accuracy in all of history, events and cultures are dated according to the bible and an emphasis on God's sovereignty through Western history runs throughout. Children will appreciate the story like style as they hear of the great men and civilizations in chapters that are easy to digest, though they still retain a large vocabulary. Historical illustrations are used throughout. The Story of the Middle Ages covers the period of time from Early English History through King Richard. 353 indexed pages, softcover.